I love rainy days…as long as they don’t equal a month, as it did in Japan. All June, all rain, all the time. After awhile, ANY sound you love would get a bit irksome if you heard it all day and night EVERY day and night. But…I woke up this morning, early for me (6:40 am MaryEllen!!!) and decided to catch up a bit on my reading. How comfortable to be in a nice warm bed, snuggling with a plush shiba inu, listening to the rain fall just outside your window and reading a good book…ahhhh. When it rains, it brings back memories of walking a mile to school in a raincoat and rubbers (hey, it’s what we called ‘em back then), splashing through the puddles. For some reason, it’s also a bit of a melancholy memory…not sure why…maybe all that walking? 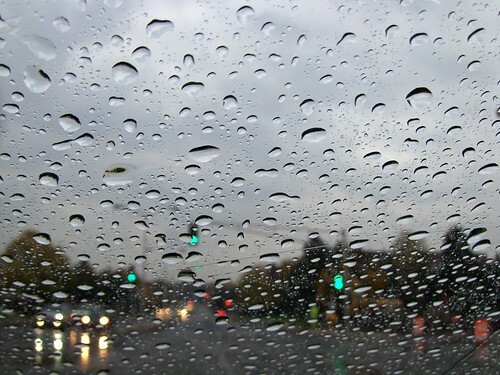 Do you like rainy days? Do they bring back memories for you? Wanna share?